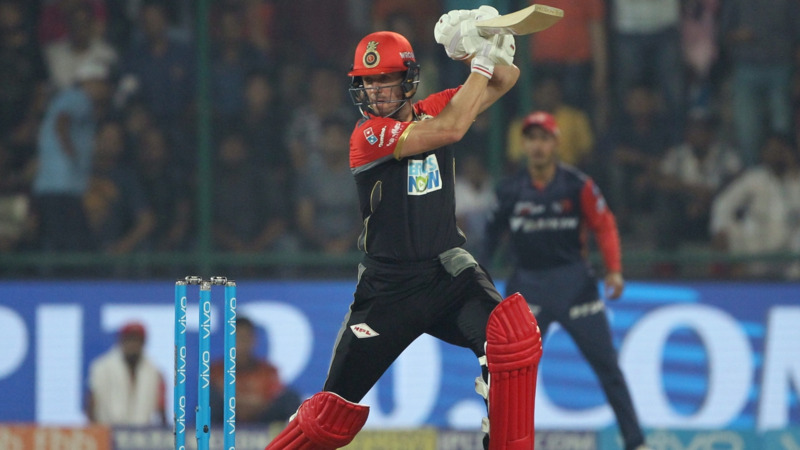 De Villiers was the hero for Bangalore, who stood there till the end and won the game. AB de Villiers' shots bring a smile on your face unless your team is on the receiving end. He is called Mr 360 and can literally hit the ball anywhere in the ground. 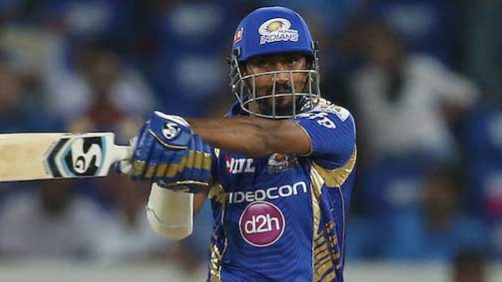 The master of unorthodox shots was on display during his match-winning knock against Delhi Daredevils (DD) at Kotla. Royal Challengers Bangalore (RCB) chased down the target against DD with one over left thanks to a huge partnership between skipper Virat Kohli and De Villiers of 118 runs. The South African batsman scored 72* runs and took his team over the line with a couple of sixes in the penultimate over. 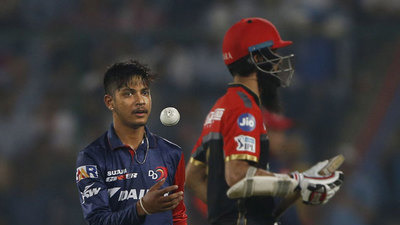 His first six in the 19th over was so good that even Kohli, who himself plays mind-blowing shots, was left open-mouthed. De Villiers decided to walk across the stumps to the off-side, forcing Trent Boult to follow him, which was, of course, a trap by him. He sent the ball into the stands way back; 92 meters as shown by the broadcasters. We have seen him playing these shots so many times but, being greedy, we never get enough of it. RCB is currently on 7th position and is dependent on others to book a place in top 4 even if they win their remaining games.